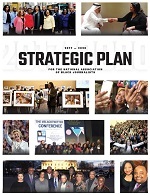 WASHINGTON, DC (May 30, 2014) --The National Association of Black Journalists (NABJ) announced today the finalists for its 2014 Salute to Excellence Awards. The competition honors work from print, television, radio, online, photojournalism, and public relations. 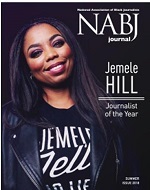 Winners will be announced Saturday, August 2, 2014, at a gala celebration during NABJ's 39th Annual Convention and Career Fair in Boston, the largest annual gathering of minority journalists in the country. For a complete list of the 2014 Salute to Excellence Awards finalists, please click here. NABJ is also pleased to award Pulitzer Prize winning journalist Stephen Henderson, of the Detroit Free Press, with the organizations Journalist of the Year Award for his columns on the financial crisis facing his hometown of Detroit. Other top honorees include Sandra Hughes former anchor of WFMY-TV in Greensboro, N.C., as the recipient of the association’s 2014 Chuck Stone Lifetime Achievement Award; Omnicom Groups’ Tiffany R. Warren with the Pat Tobin Media Professional; North Carolina A&T State University's Dr. Linda Florence Callahan for Educator of the Year; Washington Post’s Wesley Lowery for Emerging Journalist of the Year; Hofstra University’s graduate Claudia Balthazar and Columbia University graduate Averi Harper for Student Journalist of the Year. The association will also posthumously honor, photographer, Hugh Grannum with the annual Legacy Award. NABJ's 39th Annual Convention and Career Fair will take place July 30–August 3, 2014 in Boston. The Salute to Excellence Awards Gala is the only awards program that honors exemplary coverage of African/African-American people or issues exclusively. Tickets to this event can be purchased, here. Registration is currently open for NABJ's 39th Convention and Career Fair. To register and for travel information, please visit, here. Follow Twitter for updates: @NABJ #NABJ14. Sponsorship opportunities for #NABJ14 are also available. Please visit here for additional information, here. NOTE: Members of the working press who wish to cover this forum will need to obtain press credentials. To obtain credentials please apply for a media credential, here. Questions on Awards? Contact: Scott Berry at sberry@nabj.org.